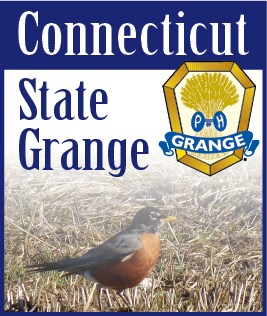 National Grange Legislative Director Grace Boatright will be part of the live Lars Larson radio talk show today, Monday, Jan. 6th at 7:20 p.m. EST. Boatright will be discussing GMOs, labeling initiatives and the National Grange's current policy. "This is a very exciting opportunity for the Grange to inform listeners of its values and policies," Boatright said. National Grange Communications Director Amanda Leigh Brozana said the conservative talk show, which has aired since 1997 and has both a local and national component, reaches a large national audience from its Portland, Ore., base of KXL. Larson has garnered more than 70 awards for his reporting from the Associated Press and is a weekly guest on Fox News' America Live with Megyn Kelly and frequent guest on many other talk shows.